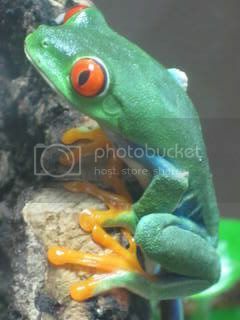 Paw Talk - Pet Forums > Other Pets > Reptile & Amphibian Discussion > -Photos- New Close-Up Photos of my Red Eyed Tree Froggies! 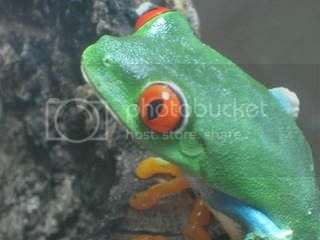 New Close-Up Photos of my Red Eyed Tree Froggies! 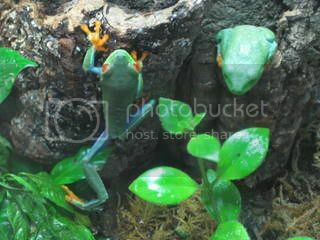 My new frogs posed for some close-up pictures a few days ago and I thought you might enjoy them. They just thrill me with their coloring, it is so bright. Enough talk, on with the pictures! They are amazing! The colors are so vibrant. I don't know how you can get anything done at home; I would just spend all day looking at them! They're gorgeous! 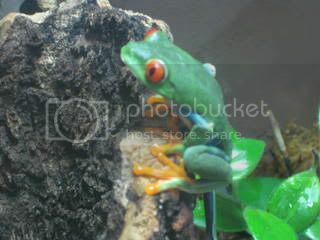 I love tree frogs, they're so fun to watch . 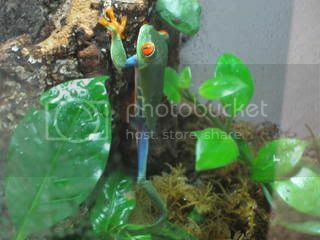 mtmaughan, between the new frogs and the new kitten, I am really having a hard time getting anything done! Someone is always doing something cute and I am running to grab my camera! Be prepared to get lots of pictures! I really need to post a picture of them when they are all folded up and sleeping. THAT is when they REALLY look like a plastic toy! LOL They amaze me. Nature's animals are so beautiful, I am always in awe. I am so lucky to have them in my home. They look so cool! The first and second last one are my favorite. Share as many pics as you want, I love lots of pictures!! Thanks, Nikko! I am glad you don't mind the pictures. Hee hee. I am finding that I just love taking pictures of my zoo! They fascinate me. And it seems to make me feel at peace. I love watching them. 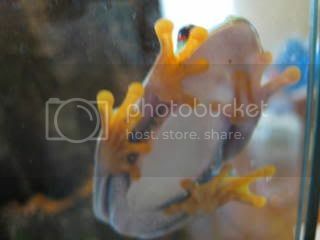 They are amazing, love their little yellow toes and huge eyes! What colour are their bellies? It looks slightly pink in the picture. shinystar, their bellies are a creamy white. 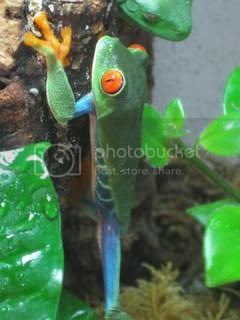 They are the most colorful frogs I have ever seen! that picture is soooooo cute!!! he's all balled up on the glass looking fancy! adorable! 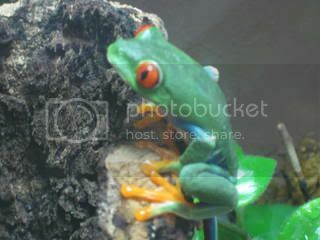 I've always wanted a red eyed tree frog!